The FixOptix modular fixture system for optical comparators is the first of it's kind. 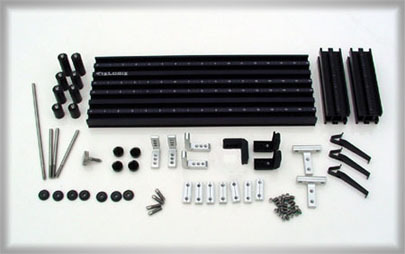 The kit is economical and very functional, allowing a great variety of part staging fixtures to be built. The system can mimic traditional fixtures like Vee-blocks, vises and centers. It also allows the user to create an infinite variety of fixtures to stage parts that are not easily held by traditional fixtures.